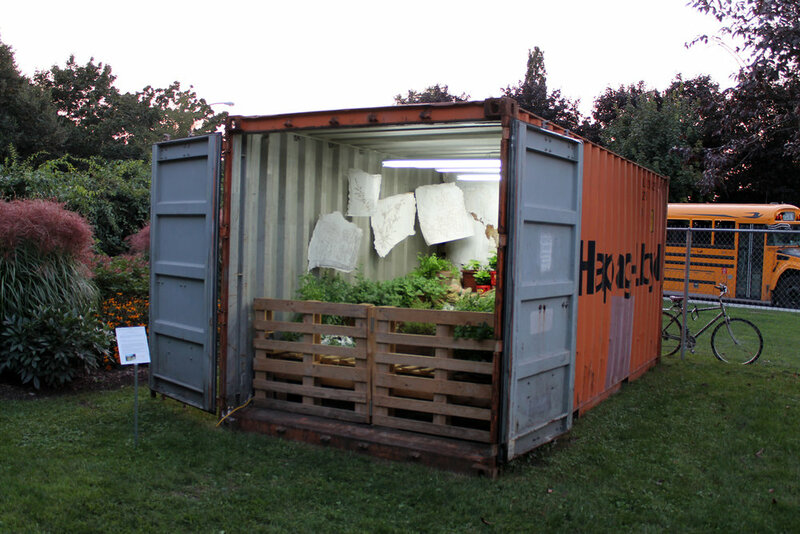 Transformed into a greenhouse in miniature, this shipping container makes the public aware of the path traveled by our food, including coffee. There are coffee plants whose fruits will never see the light of day here. Containers, jute bags and pallets evoke huge distances traveled by coffee beans, marketed in an international context. Thanks to safer consumption that favors different terroirs and specialized production methods (organic, fair trade), the origin of coffee is thus specified and certified. Another option would be to consume local alternatives: Lemon verbena, chicory, chamomile and other native plants also grow within the container. 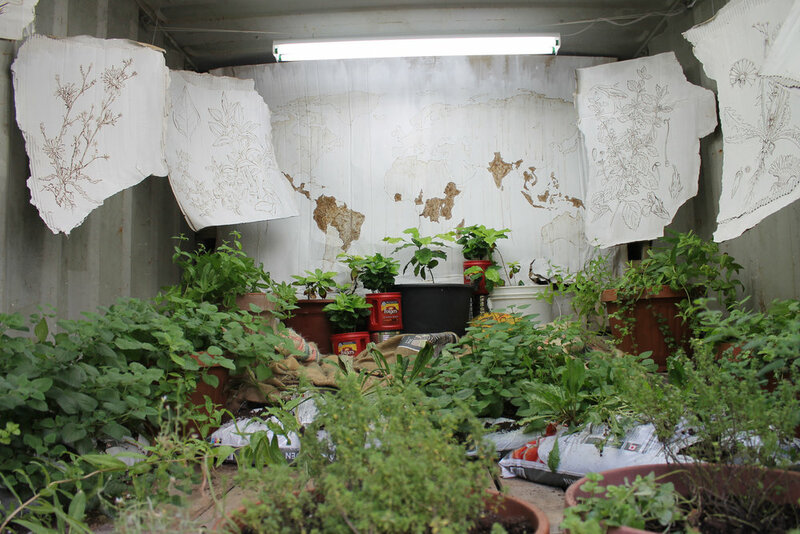 Coffee grounds were used for botanical drawings of the plants inside the container and the supporting pallets and “pots” were recovered from surrounding traders reflect a spirit of recycling.